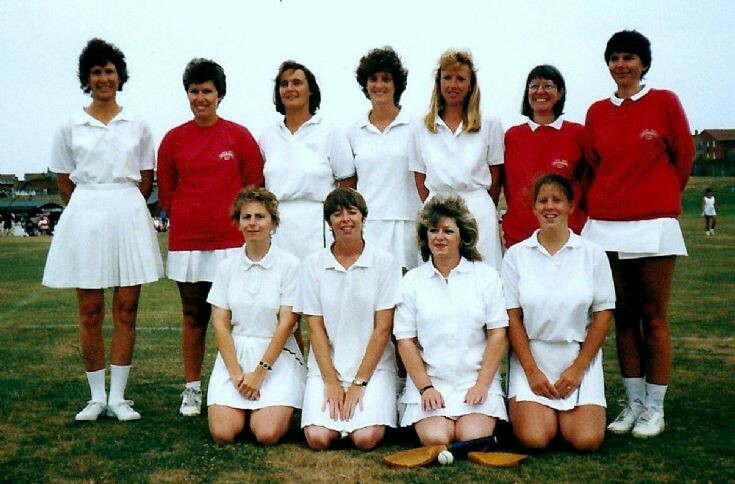 The picture is of the Handcross stoolball team playing at a tournament in Seaford. Back row: Beryl Glover, Chris Stenning, Alison Yaffe, Lyn Gann, Chris MacKenzie, Barbara Mellish (née Kinnard), Sue Kodytek (née Stenning). Front row: Karen Edwards (née Brown), Unknown, Bev Ansell (née Fraser), Linda Murry.